Millions of people use individual retirement accounts to save for retirement. But as IRAs have grown both in popularity and in size, they've also started to become a target for creditors looking for money to repay outstanding loans. Now the Supreme Court, in a unanimous ruling released Thursday, has opened the door for what could be a major change in collections practices. The nation's highest court decided a case that dealt with how bankruptcy law treats IRAs inherited from other family members. In the case, a married couple declared bankruptcy, owing about $700,000 to creditors. The couple sought to have an IRA that the wife had inherited from her mother excluded from the assets available to creditors, arguing that bankruptcy law provides creditor protection for retirement accounts. Bankruptcy law protects a person's own retirement accounts, with 401(k) plan accounts having long been protected from creditors under laws governing employer-sponsored retirement plans. Amendments from about a decade ago made rollover IRAs from 401(k) and similar plans exempt from bankruptcy creditors, as well as an additional amount of about $1.24 million from IRAs into which you made direct contributions. %VIRTUAL-pullquote-The Supreme Court this week drew distinctions between one's own retirement accounts and those inherited. %The Supreme Court this week drew distinctions between one's own retirement accounts and those inherited. 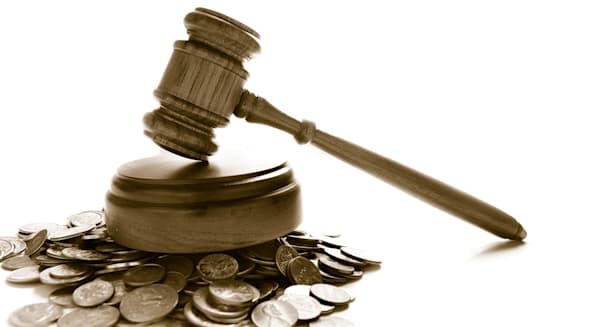 In protecting a worker's retirement accounts from creditors, the bankruptcy laws support the important financial consideration of ensuring financial security throughout one's lifetime -- the very thing retirement accounts were designed to provide. With inherited IRAs, though, the retirement-centered aspects of the account largely go away. Beneficiaries of inherited IRAs are required to take distributions either within five years of inheriting the account or on a schedule determined by life expectancy and required minimum distribution amounts over the course of their lifetimes. Moreover, heirs of inherited IRAs have the ability to take money out at any time without facing penalties, even if they haven't yet reached age 59½. That's much different from how one's own IRAs are treated, with a 10 percent penalty typically applying to early withdrawals. Of course, many heirs of inherited IRAs would like to use those accounts primarily for retirement. But if anyone other than a surviving spouse inherits an IRA, they're not allowed to roll over assets into their own IRAs, and the Supreme Court saw the different nature and rules of those accounts as a way to open the door to creditors claiming assets from those inherited IRA accounts. With 45 million households in possession of retirement accounts adding up to $5.7 trillion as of a year ago, the amount of money potentially affected by the Supreme Court decision is huge. If you intend your children, grandchildren or heirs other than your spouse to receive IRA funds after you die, you'll need to consider whether their creditors could end up taking the money and thwarting your intentions. %VIRTUAL-article-sponsoredlinks%Those who plan to leave behind substantial amounts in IRAs can consider making sophisticated changes to their estate planning, establishing trusts to receive inherited IRA money rather than leaving it outright to your heirs. But using trusts carries pitfalls of its own, and the wrong terms can reduce or eliminate the ability to stretch out IRA distributions and preserve tax benefits as long as possible. Given the challenges that most people face in saving enough for retirement to provide for their own needs -- let alone leaving something behind for heirs -- the Supreme Court's decision might seem like it only affects the extremely rich. But for those who had hoped to preserve a pool of savings for their family after their death, making inherited IRAs subject to creditors' claims in bankruptcy is a setback for their estate-planning goals. You can follow Motley Fool contributor Dan Caplinger on Twitter @DanCaplinger or on Google+.